HARARE giants Dynamos yesterday welcomed back their youth development products Nigel Gandari and Carlos Rusere, who are now set to establish their careers in the senior team this season. The youthful pair is returning from loan spells with Division One sides and was yesterday unveiled among five new additions to the Glamour Boys squad for the 2015 season. DeMbare also paraded their new signings — youthful goalkeeper Tonderai Mateyaunga, who was at ZPC Kariba last year, forward Kelvin Bulaji and ex-Monomotapa and Shabanie Mine right-back Godknows Murwira. Returning defender Gandari had been loaned out to relegated side ZRP Football Club (formerly Black Mambas) to get game time as he could not make the cut in the senior team last year. This is the same path that was travelled by Partson Jaure when he was loaned out to Division One side La Liga before returning to claim his place three years ago. The tall central defender has now returned to fight for his place in the team at a time when the Harare giants lost one of their key men during the 2014 season, Themba Ndlovu, to Harare City. Gandari would need to grab the opportunity in the central defence that also has Elisha Muroiwa, Sydney Linyama and Augustine Mbara, who was largely employed there from his usual left-back position. Another DeMbare product, Rusere, was playing at DC Academy last year and has been rising quietly outside the limelight. The Zimbabwe youth international has made it into the national team age-group structures and was a vital cog in the Young Warriors side that reached the semi-finals of the Cosafa tournament in 2013. Rusere, who is comfortable playing in the midfield or on the wings, is also part of the Olympics squad coached by Callisto Pasuwa and Saul Chaminuka. He has featured for the national Under-23 side in the preparatory friendly matches against Botswana and Morocco. DeMbare secretary-general Webster Chikengezha said they were hopeful they would see value in the newcomers. “These are our products and they are just coming back home. As a club, we want to welcome them back . . . But I would want to stress that wearing that blue jersey is not a joke. “It’s very important to realise that we are the biggest team here in Zimbabwe and we play each game to win. Every game is like a final to us. “So, to all our new players, I would like to urge them to brace up for the pressure that comes with playing for Dynamos,” said Chikengezha. DeMbare have retained the bulk of their players, but there is still uncertainty over the future of players like Murape Murape, Clive Kawinga, Tafadzwa Rusike, Roderick Mutuma, Tawanda Muparati, Devon Chafa, Simba Sithole and Russel Madamombe. There were 23 players at the event and there were excuses for two other players, Washington Pakamisa and Stephen Alimenda. Chikengezha refused to discuss individual cases, but indicated that chances were 50-50 with those not present at yesterday’s function. New signings Bulaji and Murwira said they are cognisant of the high expectations at their new club and are ready to battle the pressure. The pair is looking to remodel their careers with the Premiership champions after agreeing to join DeMbare on two-year contracts. Bulaji said joining Dynamos was a big decision he had to make after an unhappy stint at rivals CAPS United. “I am glad about this move. 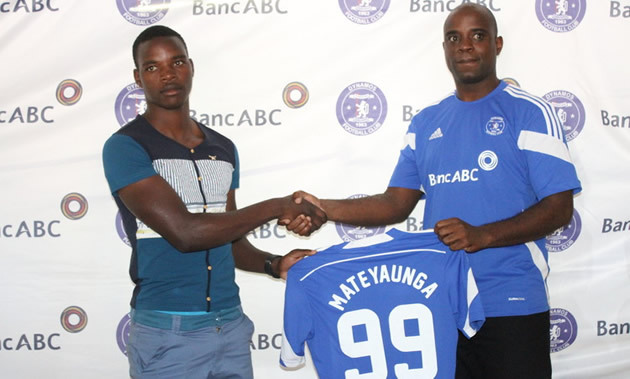 It has always been my wish to play for DeMbare and obviously I am happy I finally got the opportunity. “I believe Dynamos give a player the right stage to express himself and to get one’s efforts recognised since it is a big club. “I know there will be stiff competition, but I will do my best and God will do the rest. I am also aware that it could be difficult to win over the supporters at first, but as a player one can always reach out to their hearts through their performances. So, my major goal will be to work very hard,” said Bulaji. His counterpart Murwira said he was looking forward to transforming himself as a player by giving his best to the club. He will be fighting for the right-back position with Blessing Moyo and Oscar Machapa. “I know there are many good players at Dynamos and there will always be pressure from all angles; on the pitch and on the terraces and I am ready for that. “In situations like these, one has to stand like a man. “It’s going to be tough, but the fact that the club signed me means they appreciate what I am capable of. “So, as a player one just has to apply themselves when they get the chance to play. It’s then left to the coaches to decide whether to play one or not,” said Murwira. Artwell Mukandi, Tatenda Mukuruva, Devine Mhoya, Tonderai Mateyaunga, Oscar Machapa, Tichaona Mabvura, Farai Mupasiri, Anesu Gondo, Elisha Muroiwa, Walter Mukanga, Milton Makopa, Augustine Mbara, Travolta Fireyi, Ocean Mushure, Abel Gwatidzo, Carlos Rusere, Kenneth Bulaji, Nigel Gandari, Patrick Khumbula, Blessing Moyo, Godknows Murwira, Stephen Alimenda, Washington Pakamisa, Sydney Linyama, Masimba Mambare.